Please CLICK on the link below and check out all of the fun activities that go on during Saturday School at Williams School! 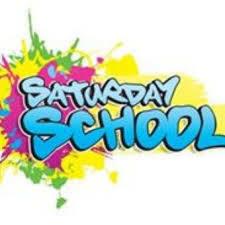 Williams students with one or more absences are invited to attend our next Saturday School on 04/27/2019 from 8:00-12:15 pm. Please submit your registration forms as soon as possible!